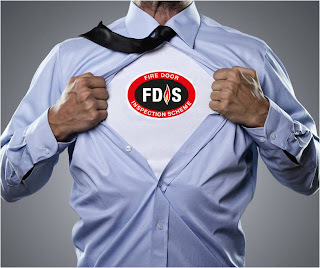 Theodore Firedoor, who lives on Facebook, Twitter and YouTube, is fronting a campaign on behalf of the Fire Door Inspection Scheme (FDIS) to encourage sharing of photos of dodgy fire doors across social media channels. Theodore Firedoor, with the help of people across the industry, aims to show how widespread the issue of ill-fitting badly maintained or otherwise under performing fire doors is - compromising lives and buildings across the UK. A stickler for fire safety he wants images of risky fire doors to be uploaded to his Facebook page, to be shared on Twitter @Theodore_Fire or emailed to him at theodore.firedoor@gmail.com. While he won’t be naming or shaming he does hope to inspire action.